This completely new DVD has been reshot and remastered in High Definition. It contains approximately seven and a half hours of presentations that can take the place of presentations by the course leader. 10 sessions. 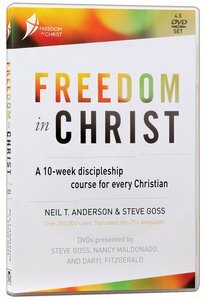 About "Freedom in Christ DVD (Freedom In Christ Course)"